Everyone has tendency either towards classic style or modern style in their various forms. One steers towards the traditional; the other to contemporary. Whether your style is classic or modern, DOMO has a bed linen collection for you. Recreating the luxurious comfort of a hotel experience at home, the carefully selected collection has broad appeal. Forever popular and tastefully elegant, classic style comes to life in beautiful stately homes, historical villas and country homes and cottages. DOMO’s Cotswold collection has the charm and beauty suited for a classically styled bedroom. The bedcover and pillow shams have delicate, soft-grey flowers in a swirling, organic pattern on a cream-coloured background, and quilted, 100-per-cent cotton offers sumptuous texture and comfort. Its subtle colour palette means it can be teamed with other patterned and decorative soft furnishings, wallpapers and linens. Or take an understated approach to the rest of the room, allowing the bedding to be the feature. DOMO’s classic crisp-white cottons have a dove-grey stitch detail to complement the Cotswold collection, and are superfine percale 100-per-cent cotton that only gets better with time. Popular in contemporary homes, apartments and renovations, modern style can be pared-back, eclectic, subdued or bold. DOMO’s linen collection in natural and charcoal has a beautiful textured look that works with any style and season. Made with 100-per-cent washed linen, the duvet and sheets soften with every wash and are ideal for Australia’s seasonal climate as they naturally insulate in winter, and wicks away moisture in summer. 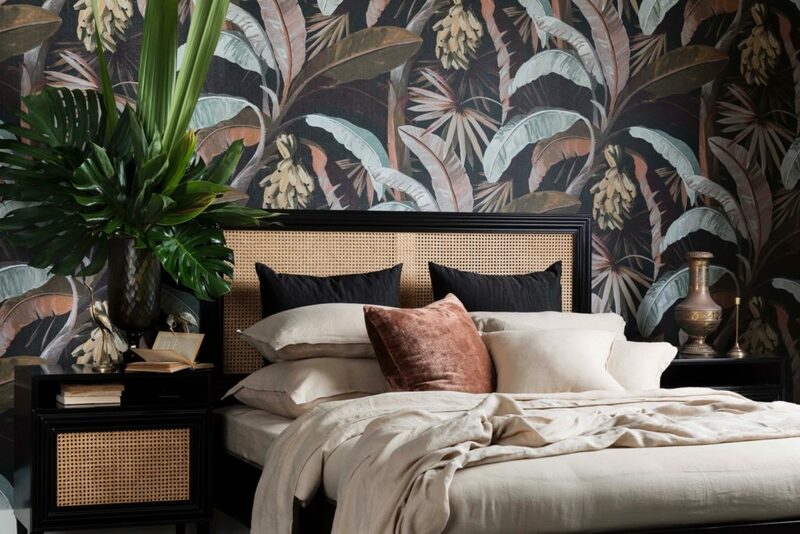 DOMO’s affordable range of duvets, sheets, bedcovers and pillow shams are sourced from socially responsible companies and hand selected by DOMO’s in-house team of interior designers and stylists. DOMO’s bed linen is available exclusively at DOMO. The collection is on display at DOMO’s showrooms across New South Wales, Queensland, South Australia and Victoria, and viewable online at www.domo.com.au.